The Roman Empire followed the Julian calendar – one based on the sun (a ‘solar’ calendar). Today, many Protestant countries have adopted the Gregorian calendar, which is also a ‘solar’ calendar. Every four years an extra day is added to keep the calendar in step with the Earth’s progress around the Sun. In fact, the Gregorian calendar year differs from the solar year by just 26 seconds! The Gregorian calendar is today’s internationally accepted civil calendar and is also known as the “Western calendar” or “Christian calendar”. But should Christians follow it’s times and festivals? Are Christians aware that Christmas and Easter are based on pagan sun worship? See also Sabbath or Sunday Worship? Is the Christian Calendar Biblical? Why should Christians follow a calendar considered to be revision of the Julian calendar which was itself a revision of the pagan Roman and Greek calendars? Even days of the week and months of the year are from pagan Rome and Greece, link. Also, since Christianity has Jewish roots, why does the church largely ignore the Jewish (Hebrew) calendar? 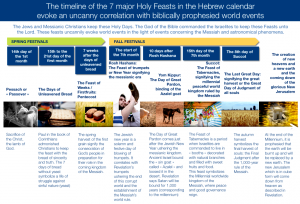 By ignoring the Hebrew calendar and the embedded mystery of the Hebrew feasts, the church could be accused of spiritual naivety! There is something deep and wonderful here. So by adhering to a pagan-based solar calendar is the church losing out? Moreover, is it being misled? Let’s consider the Christian ‘special days’. The Early Church: First note that the birth of Christ was not celebrated, commemorated, or observed, neither by the apostles nor in the apostolic church – it was sufficient to know that Christ had risen. Bearing in mind that the early church was essentially Jewish (a Judeo-Christian community) this was consistent with the Jewish tradition of not celebrating birthdays, link, link. Pagan Roots: December 25 (close to the northern hemisphere winter solstice of 21 December, link) hosted the sun-related festival natalis solis invicti – the Roman “birth of the unconquered sun”. Pagan Rome also held the festival of Saturnalia between December 17-25, which spanned the winter solstice. Saturnalia was a Roman festival in honour of the deity Saturn, link. These pagan traditions influenced the early Christian church. The early church related the ‘Sun’ to the Son of God, and the ‘solstice’ to a rising of light (in the northern hemisphere), and wanted these pagan holidays around the 25th December metamorphosed into Christian ones, link. December 25 (the “birth of the unconquered sun”) was first referred to as Christmas Day in 324 AD, link and Western Christians first celebrated Christmas on December 25 in 336 AD, after Emperor Constantine had declared Christianity the empire’s favored religion. Pagan Symbols in Church: The church also symbolised the pagan sun-god, as in the round sun-like wafer used in the Roman Catholic Eucharist. The Roman Catholic monstrance displays a round wafer of bread (called the Eucharistic Host) and in post-medieval times it took the form of a sunburst on a stand, usually topped by a cross. 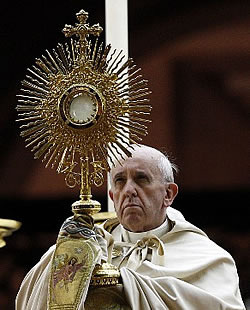 The monstrance is also used in some Anglican and Lutheran Churches, link. Even modern Bible translations present Jesus Christ as the ‘Sun’ of righteousness (Mal 4.2, NKJV). The Christmas Tree: This also is of pagan origin. The Roman winter solstice was marked on December 25th on the Julian calendar. They knew that the solstice meant that soon farms would be green and fruitful again and so they marked the occasion by decorating their homes and temples with evergreen boughs. 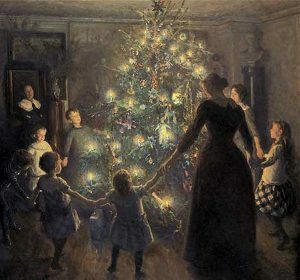 In fact, a fir tree (today’s “Christmas tree”) was as common in pagan Rome as it is today, link. In Rome the fir tree related to Baal-Berith, a pagan Messiah and a form of Ba’al-worship practised by ancient Israel, link. Holly, with its pricking leaves, white flowers, and red berries symbolizes the male reproductive urge [Collins, “Christmas Folklore”]. The Date: Unlike the Jewish feasts, which were instituted by God, Easter is a celebration instituted by man. The early church wanted to celebrate Christ’s resurrection, and there is clear evidence that Christians celebrated an Easter/Passover festival by the second century, link. They used the Jewish Passover on Nisan 14 (full moon), not to celebrate the first Passover, but to commemorate the sufferings of Jesus, the true Passover Lamb. The month of Nisan corresponds to March-April on the civil (solar) calendar. So the initial ‘Easter’ date was based upon the Hebrew calendar. 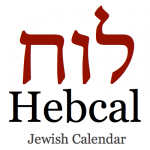 But, in a move to align the celebration date to the solar calendar, the First Council of Nicaea (325 AD) fixed the date to the first Sunday following the full moon after the vernal (Spring) equinox, thereby moving away from the Jewish festival of Passover and moving away from the Hebrew calendar, link. As already noted, the official day of rest for believers was later moved away from the Hebrew Shabbat, to Sunday. 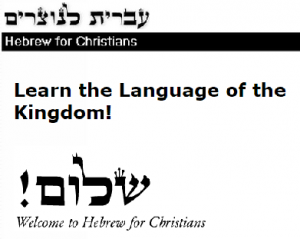 Is it surprising that today’s church is largely ignorant of her Hebrew roots? Other translations translate the Greek word “pascha” as “passover”. It is argued that the KJV is accurate since here Easter actually referred to a pagan festival held late in the month of April, link, link. The festival involved the worship of the goddess Ishtar (pronounced “Easter”) and her son Tammuz (a Sumerian fertility god). Such a festival is described in Ezekiel 8.13-16. Going deeper, this origin of Easter is traced back to the legend of the woman Semiramis, wife of Nimrod the Sun god, link. When he died, Semiramis had a son, Tammuz, and she claimed Tammuz was Nimrod reborn. This “Mother Goddess” was variously named as Ishtar, Eostre, Astarte, Ostera, and Eastre, link, link. The Western term “Easter” was derived from the Anglo-Saxon form of Ishtar, ‘Eostre’, International Standard Bible Encyclopaedia. So it is claimed that the term “Easter” has its roots in ancient polytheistic religions and is derived from the names of the fertility goddess Semiramis. The pagan festival honouring Ishtar was held at the vernal (Spring) equinox, when the sun crossed the equator towards the north, offering new life. This pagan ritual involved the worship of Tammuz and the sun, and took place at sunrise on Easter morning. It is described as an abomination in Ezekiel 8.15,16. This is of course a legend and is claimed to be historically inaccurate e.g. Semiramis is not mentioned in the Bible, link. Nevertheless, Ishtar and Astarte can be linked to the “queen of heaven” (Jer 7.18), link. 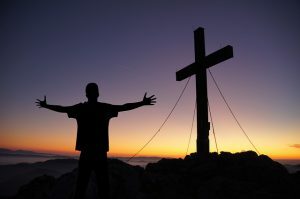 Concluding: Many maintain that the traditional Easter sunrise service reflects an ancient pagan custom of sun worship and the worship of the god “Tammuz” at the vernal equinox, link. The pagan festival involved a celebration of reproduction and earth regeneration. So it is claimed that the “Easter bunny” (a symbol of fertility) and the “Easter egg” symbolize this Mother Goddess. On the other hand, some dispute the pagan roots of Easter, link. Unlike the seven God-inspired Jewish festivals, there appears to be no warrant in scripture for the observance of Christmas and Easter as holy days. These Christian celebrations are more related to pagan festivals wrapped around the Roman solar calendar, than to the God-inspired Jewish festivals wrapped around the Hebrew calendar. The various symbols of the Christian festivals (trees, mistletoe, rabbits, eggs) also have pagan origin. For Christians it is perhaps easiest to ignore such symbols compared to the festivals themselves. Long ago [Papacy 364 AD] the institutionalised church ruled that believers should not follow the Jewish Sabbath or Jewish festivals (as implied in Col 2.14-16). So today the mainstream Western church rests and worships on the first day of the Jewish week (Sunday) in accordance with New Testament tradition (Acts 20.7, 1 Cor 16:2). Believers regard Sunday as “the Lord’s Day” rather than the Sabbath. That said, according to the New Testament there are no other ‘holy’ days that the church should keep, link. So what about the main Christian Festivals? Let’s assume that the birth, death and resurrection of Christ are so fundamental to mankind that we should celebrate them. After all, Christ’s birth was God coming to man, His death was God reconciling man to Himself, and His resurrection was God proving to man that there is eternal life for believers. The early church used the Jewish Passover on Nisan 14 to celebrate the resurrection, and Jesus Himself told believers to proclaim His death (any time) as a sign of the new covenant (Mat 26.26-29, 1 Cor 11.23-26). But apart from a day of rest (which should be kept for the Lord) and given more than a hint of paganism in Christmas and Easter, how should Christians celebrate these truths? If we adopt Spurgeon’s view, is there still a way of celebrating milestones in the mission of Christ without the taint of paganism? Perhaps the church should be paying more attention to the Jewish calendar and her Hebraic roots? Here Paul reminds us that Jesus is a Jew! The Jewish world maintains the statutes delivered by God to the Hebrew patriarchs, and these are also fundamental to Christian belief. In fact, prophecy indicates that the nations will eventually follow some Hebrew festivals. 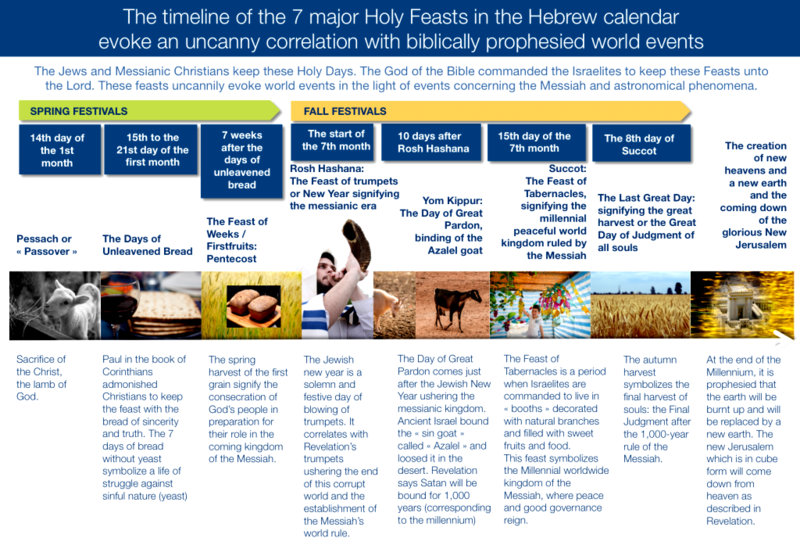 Moreover, serious consideration of the Jewish festivals suggests they hold a deep message for mankind (see sidebar) and some festivals even go through into the Millennium – they are ‘statutes for ever’ (Zech 14.16). The Western church needs to pay attention! She is missing something by ignoring Jewish feasts based on the Hebrew calendar. The difference in biblical basis between Hebrew and Christian festivals is striking, link. This was a very interesting article, thank you. It is very difficult to find local church that is Christian and celebrates the Jewish Holy days and not birthdays or Easter. Check out The Israel Of God! We are on YouTube also if you want to see some lessons and we are all over the U.S we serve the holy days in the Bible! Thank you for this website information. If only the western church would wake up to her Jewish roots!